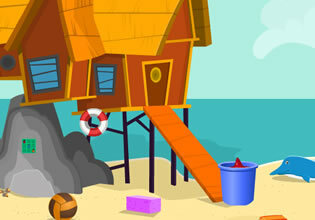 In this new point and click escape game from Games2Jolly a poor dolphin has been washed out on the shore and is wounded. Help rescue the poor creature by treating all its wounds. First, you have to find the first aid kit and then report the incident to the authority.